SFI Readerlink Dist, 9780794443467, 32pp. 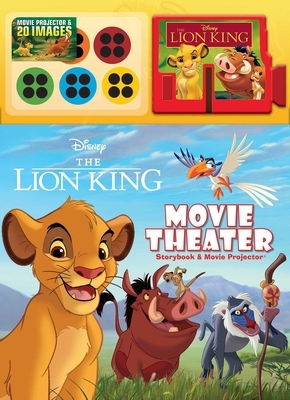 Experience the adventure of Disney's The Lion King, plus a removable movie projector to shine images of Simba, Timon, Pumbaa, and the rest of your favorite movie characters onto your wall! Disney's award-winning movie The Lion King is one of the most beloved animated adventures of all time. The heart-warming take of Simba, the brave lion cub who grows up to become the Lion King, has enchanted fans both young and old. Now, the magic of this timeless tale comes to The Lion King Movie Theater Storybook and Movie Projector. The book also includes built-in movie projector and five picture disks that let kids project twenty colorful images on their wall as they read.